TJ is a trial lawyer who has tried over 30 jury and bench trials. TJ is an aggressive advocate with substantial trial and dispute resolution experience in the areas of business, real estate, construction and tort-defense litigation. He evaluates business problems for clients, provides options and makes practical recommendations. Since 2010, TJ has been named a Massachusetts "Super Lawyer" by Boston magazine and Law & Politics. In 2013, TJ was appointed by the U.S. District Court in Boston to serve on the ten-person panel for the selection of U.S. magistrate judges. 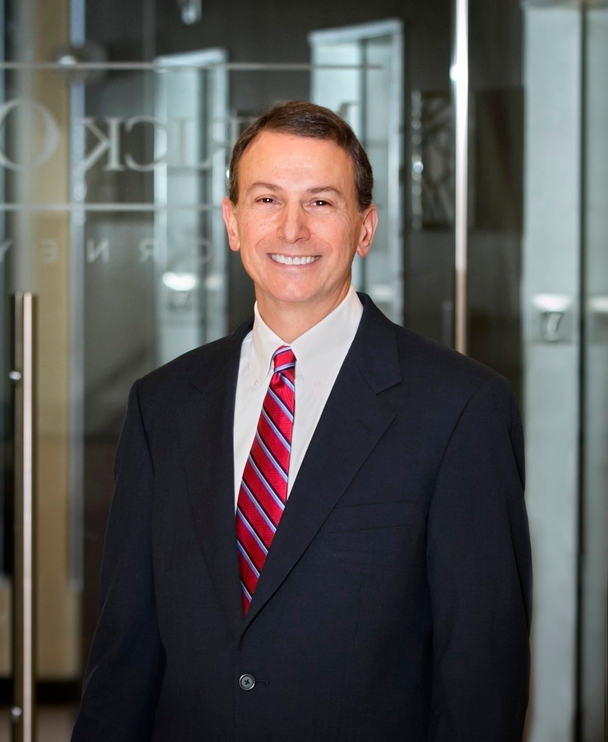 Prior to joining Mirick O’Connell, TJ was a partner at Bowditch & Dewey, LLP and he served on active duty as a trial lawyer in the U.S. Army Judge Advocate General’s Corps (JAGC). TJ successfully staved off a preliminary injunction against a shopping center client sought by an upscale food chain tenant alleging that the center was violating the terms of its lease, which contained an exclusive use provision, by allowing a competitor to sell "sandwiches" for carry out purposes in excess of 15%. This case was widely reported in the media throughout the country and in Canada under the heading: "Is a Burrito a Sandwich?" The Court ruled that it was not, as TJ had maintained, based on the rules of construction for contracts in Massachusetts and that the definition of the word "sandwich" was not ambiguous. Recently this case was referred to in U.S. Supreme Court Justice Antonin G. Scalia's book, entitled "Reading Law: The Legal Interpretation of Texts," in which he opined that the trial judge properly interpreted the lease at issue in adopting TJ's position. TJ represented a public utility company Defendant in a wrongful death suit that was brought by the family of a man who died by electrocution while raising an aluminum ladder near high-voltage wires at a rental property that he owned in Swansea, Massachusetts. Plaintiff alleged that there was a defect or malfunction in the Defendant's electrical equipment that allowed primary voltage of 7,970 volts to enter the secondary system, which caused the Plaintiff's death when a ladder he was raising struck the secondary service wire to the rental property. TJ, on behalf of the Defendant, contended that the Plaintiff struck the overhead primary high-voltage wires running from pole to pole along the street and not the secondary service wire from the utility pole to the rental property. The Defendant further contended that all of the electrical equipment complied with the National Electrical Safety Code and industry standards and that there were no defects in either the overhead primary high-voltage wires, which it contended were contacted, or the secondary house service wire, which the Plaintiff contended was contacted. After a three-week trial, the jury found in favor of the Defendant. TJ successfully defended claims in excess of $2 million brought by a design-builder against TJ's client, the owner of a senior living facility, in connection with a $14 million construction project. The arbitration was a multi-party, complex case that spanned over 40 days of hearings. TJ represented a large health care provider in a declaratory judgment action against a local hospital in which he obtained a judgment after a jury-waived trial in Superior Court, in favor of his client, on the proper construction of a 99-year ground lease. The case concerned contract construction and, more specifically, whether the definition of "Premises" in the ground lease included the multi-million dollar medical office building constructed on the leased area by the client at its own expense as argued by the hospital, or whether "Premises" meant the land under the building only as argued by TJ. This issue was crucial because the rent escalator in the ground lease required base rent adjustments every five (5) years after the first ten (10) years and set base rent as "ten percent (10%) of the Fair Market Value of the Premises." As such, if the construction of the term urged by the hospital had been adopted, it would have resulted in a 639% increase in rent and would have cost TJ's client in excess $21 million in additional rent over the remaining lease term, without even taking into account future rent adjustments over the balance of the 99-year term. TJ successfully convinced the Court that the definition of "Premises" was ambiguous and was able to prove through oral evidence and the manner in which the term "Premises" was used in other contexts in the ground lease that "Premises" meant "the building pad area" or the land under building only as contended by the client. Based on that evidence, the Court both adopted the construction of the ground lease advanced by TJ and, to the extent that the lease could properly be construed to include the medical office building, reformed the contract based on mutual mistake. The judgment was affirmed by the Appeals Court. TJ won summary judgment for his Defendant public utility client. The Plaintiff alleged that the Defendant negligently placed and maintained a utility pole and supporting guy wire adjacent to a public bike path and caused a dangerous condition. The Plaintiff rode into the guy wire, which struck his face and chest, resulting in significant personal injuries, including a cardiac condition, with damages totaling in excess of $1 million. TJ argued that the utility pole and guy wire were installed several years before the construction of the bike path by the municipality and that the Defendant never received notice of the construction or any problems with the guy wire and, as such, did not owe the Plaintiff a duty of care. TJ also argued that the Massachusetts Statute of Repose, G.L. c. 260, § 2B, barred the Plaintiff's claims. The court found in favor of the Defendant. TJ won summary judgment on behalf of his landowner client against a developer who claimed that the parties had reached an agreement concerning the sale of land valued in excess of $5 million. Successfully tried a case before the Housing Appeals Committee for a developer client against a municipality for an affordable housing project under Massachusetts General Laws, Chapter 40B. Successfully represented numerous contractors in mechanics lien and breach of contract lawsuits in Superior Court. After a two-week jury trial in Superior Court, a jury returned a verdict in favor of TJ's construction contractor client, including the award of substantial damages. Successfully litigated and mediated a derivative-shareholder lawsuit or "freeze out" claim, arising from a dispute between the owners of a closely-held corporation, on terms very favorable to his client. Successfully defended a contractor client in a multiple party lawsuit involving the complexities of safety programs and fall protection. Successfully represented client in a binding arbitration, resulting in his clients being awarded specific performance of a waterfront property worth in excess of $2 million. Successfully defended the decision of the zoning board of appeals granting a variance and special permit to his client for construction of a restaurant. Successfully enjoined defendants in Superior Court from interfering with his utility client's property interests and ability to deliver electricity to thousands of customers.